What is UKIP? At last UK politics, long preserved by an outdated electoral system, is starting to resemble its continental neighbours. Since the 1980s, populist anti-migrant parties have been gaining ground in Europe alongside the crumbling hegemony of the traditional centre-left and centre-right parties (apparently, voters have had trouble telling them apart). And yet, Nigel Farage, by trying to keep his party on-message about the economic and social effects of immigration, is much less reactionary than other populist parties in Europe, and indeed many Conservative back-benchers. As such, the popular left-wing response to the rise of UKIP has been revealing. The party has been treated as a far-right threat to British democracy with comparisons to fascism and slogans from the Spanish Civil War abounding. The famous “man in the back” on an episode of Question Time comparing Farage to other bombastic individuals who have “driven Europe to war in the past” is a case in point, as are student collectives which uphold the same policy of denying UKIP a platform in universities that they apply to the BNP. Two problems confront such a strategy. Firstly, it is unlikely to stop UKIP dead in their tracks. Many voters in deindustrialised areas feel vulnerable in the face of economic change and abandoned by the political class, and will continue to vote for a party that attempts to relate clear policies to their lived experience. (Incidentally, the trend in Europe has been that rising populist parties eventually take more votes than the left than from the right). Secondly, if a real far-right threat rears its head, the popular left will find itself with neither the vocabulary nor the credibility with which to denounce it. This is a far from distant possibility. UKIP pales in comparison to the extremism of the electorally significant far-right parties in France and Hungary, while in Greece and Ukraine overt neo-Nazis are active on the political scene. UKIP occupies the same political space in Britain as many of these parties, so there is every reason to believe that the party could move in the same direction once Farage is gone, so it is correct that the left mobilise against rising xenophobia. But excessive posturing has betrayed the left’s lack of a positive project regarding the European question. This impotency has driven the popular left into a paradoxical position. On the one hand there is a noble campaign being fought against xenophobia targeting Romanian and Bulgarian migrants. But the context of this campaign is the integration of Romania and Bulgaria into a common European labour market. From the outset, the European project has been about market creation, with an intensification in recent decades as the EU increasingly operates in tandem with the IMF to impose an economic discipline on national states. The purpose of the free circulation of people in Europe – a cornerstone of the EU project – is to lower the costs of labour, reduce trade union power and to allow companies to operate above the labour laws set by national governments. The solution is simple: a European minimum wage, much more favourable trade union laws and an EU policy in favour of job-creation. No one on the left is going to oppose this, but it needs to be made the focus of our political strategy instead of opposing xenophobia when the issue for many is an immigration policy designed to suppress wages. The real question is who will use immigration to what ends? Will immigration be a tool for capital to dominate labour? Or will it be a popular means of maintaining a young, creative population with cross-continental flows of expertise, information and culture? This debate is especially important because many of Ed Miliband’s most radical policies likely to win support at the next election (restoring a state monopoly in health, energy price controls and deficit-financed growth) may turn out to contravene treaty obligations and pro-competition laws signed during Europe’s current phase of austerity-inspired economic integration. And yet, as candidate for the EU Commission presidency (to be chosen based on the election results) Labour is backing Martin Schulz. Schulz is leads the centre-left grouping in the European Parliament which he presides due to a deal with the larger centre-right grouping whereby they rotate the presidency within a single parliament, regardless of the previous election results. This adds to the impression that Europe has a democratic deficit. Moreover, Schulz’s party, the German SPD, is in a national coalition with the CDU of Angela Merkel, the main driver of austerity in Europe, despite a left-wing majority in the German parliament. The opportunity should not be missed. Failing to provide an alternative to a Europe synonymous with austerity is what will ultimately cause the European project to lose popular support, to be replaced only by short-sighted nationalism and xenophobia. This was indeed the great miracle of the Mandela presidency, the ability to overcome decades of conflict and build a political consensus around a peaceful transition. And it made possible a second miracle: the universal celebrity of Nelson Mandela which transcended the political programme he stood for. In scenes bizarrely reminiscent of the death of Margaret Thatcher in April – two more contrasting politicians are hard to find – world leaders of all political shades, bitter rivals in the day-to-day affairs of their countries, united in paying tribute to the former South African president. The wider political programme of the man, embodied by the Freedom Charter of 1955, seemed almost forgotten. This document was written by the ANC and their close allies the South African Communist Party, who would later participate in Mandela’s government. It proposes racial and sexual equality, the redistribution of land and wealth, nationalisation of industry and finance, trade union rights, state welfare, full employment, a minimum wage, a forty hour week, universal housing and free education. This large act of forgetting is due in part to an ever-increasing cult of celebrity, as Ben Sellers wrote about in the founding post of this blog on the reaction to Thatcher’s death. (The Cape Times cheekily transcended this boundary with their headline covering this event). Looking the other way is also part of an instinctive response to death of any individual: to honour the memory of the deceased and not draw attention to controversy and sources of division from when they were alive. While this is a sensible reaction to the passing of personal friends and relatives, it is highly questionable when the deceased is remembered for their impact on society and their mark on history. Unlike the natural sciences, the study of history is not cumulative. Nor does it arrive naturally at consensus. Historical debate advances dialectically, with opposing views in constant conflict, reflecting the conflict awash in both the society of the historian and the society she is studying. 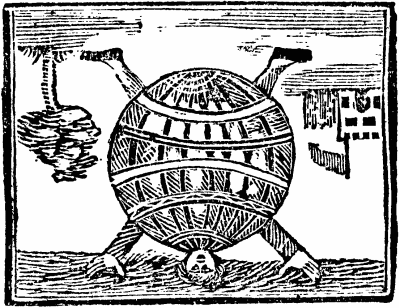 This is what is at stake in Michael Gove’s reforms of school history syllabuses. A creeping return of jingoism and an over-emphasis on national history threaten to propagate an interpretation of the past that is that of ruling élites. Namely, that historical events justify the current configuration of power in society, to which the past is the natural prologue. History – both the events themselves and their study – does not belong to ruling élites, but to people. An interpretation of the past is inevitably an interpretation of how society functions, making history a battlefield of interests. Hence the words of Milan Kundera: “The struggle of man against power is the struggle of memory against forgetting”. This struggle will make itself known next year during the centenary of the First World War. Two interpretations of the war will be pitted against each other: on the one hand, the official, government sponsored-interpretation which will resemble a “celebration”. On the other, there will be a popular interpretation by intellectuals, campaign groups, veterans and members of the general public for whom the enduring memory of the war is the desire for peace. Statesmen attempt to overcome the conflict inherent in historical debate to put out messages which can reach a universal audience. But they cannot escape history. This was clear during the obituaries to Margaret Thatcher. Neither Ed Miliband nor David Cameron could have delivered the other’s speech to parliament paying tribute to the deceased Prime Minister. This was true even despite criticisms that public mourning of Thatcher by the Conservative government was closing down historical debate. No doubt, David Cameron felt the weight of history as he gave tribute to Nelson Mandela. 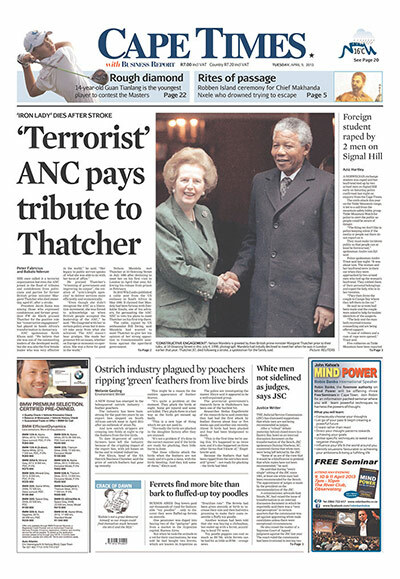 That his recently deceased predecessor had described Mandela as a “terrorist” is well known. That “Hang Nelson Mandela” t-shirts were worn by Young Conservatives is even more damning. Perhaps Cameron’s own business trip to apartheid South Africa weighed on his mind. It is therefore not surprising that he chose to emphasise Mandela’s forgiveness. Cameron was being consistent with his party’s history, celebrating how Mandela kindly made it possible for the ANC’s opponents to conveniently look away from, if not forget, the past. Many black South Africans are critical of this universal forgiveness, embodied in their country by the Truth and Reconciliation Commission, inasmuch as it exists against the backdrop of the non-application of the principles of the Freedom Charter. More than anything, Mandela’s original supporters are no doubt as bitter about this last point as his former opponents are grateful. Nelson Mandela’s struggle goes on in South Africa, as it does in Palestine and around the world. That is why we need a popular history of Nelson Mandela and of what he stood for.